At the beginning of year my good friend from school (Breanne) introduced me to Essie nail polishes. And ever since then I've become addicted to them! I have to say they are the most amazing nail polishes I've ever used. They retail for around $9 (Canadian) and they are worth every penny. Where I work I use my hands a lot and am constantly opening and closing boxes, tasks which normal nail polishes won't stand a chance against. However Essie nail polishes are able to hold their own and won't chip for over a week! Their only down fall is in order to get the desired colour, three coats are required. Ballet Slippers - This pink colour is perfect a delicate nail colour. Waltz - The perfect white for french manicure. Merino Cool - In the mood for purple? Try this deep purple. Trophy Wife - Feeling bold? This is the colour for you! 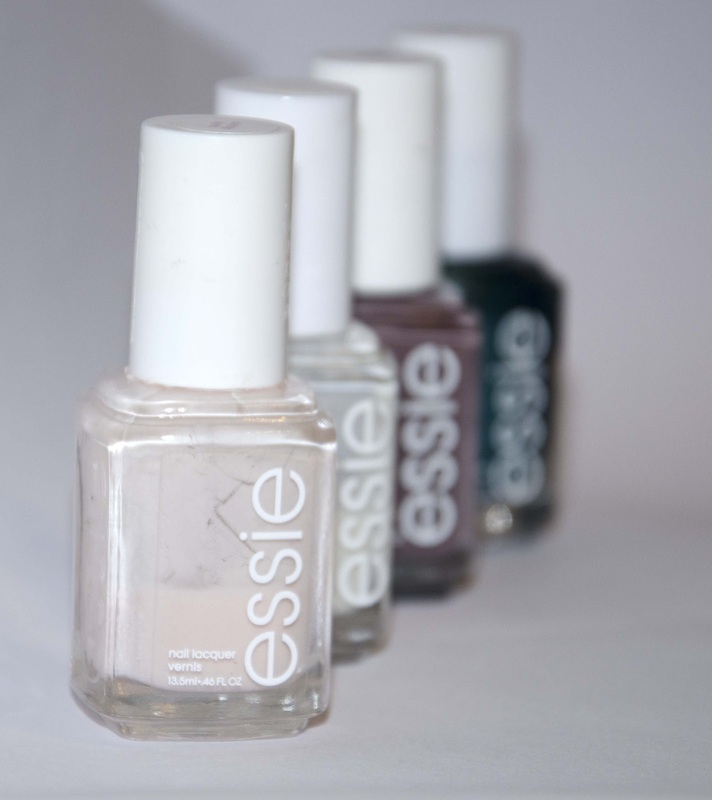 *Want to see Essie's full range of colours? View their website here. Even if you're on a budget, these are perfect nail polishes to invest in. Their amazing colour and chip proof power makes them my go to polish. What's your favourite nail polish, or favourite colour by Essie? We'd love to hear about them and give them a try!